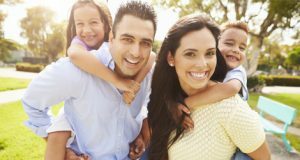 Canada has established the Super Visa program with a goal to enable family reunification for all its citizens and permanent residents. Are you planning to get your parents to Canada? This Super Visa program is the perfect immigration program which allows the parents or grandparents of permanent residents and Canadian citizens to come to Canada. The parents and grandparents can stay in Canada for up to two years at a time without the need to get their visa reissued or getting an extension. In a normal visit visa, an Indian visitor can stay up six months in Canada in one entry. Whenever the visitor wants to stay on for a longer duration, additional documentation is needed and they need to apply for a visa extension. Conversely, with the Super Visa, the Indian national can continue living in Canada for a maximum period of two years from the date of entry. The Super visa holder does not need frequent renewals. A Super Visa is usually issued for a maximum period of ten years and allows the visa holder to visit Canada multiple times with no maximum limits. What are the primary criteria for a Super Visa? What Are the Top Reasons for Rejection Of A Super Visa Application? Know more about the Super Visa and the complete application process form our knowledgeable team. Connect with Nanda & Associate Lawyers today and let us help you unite with your loved ones in Canada. We will provide you with high quality legal counsel to help you reunite with your family.